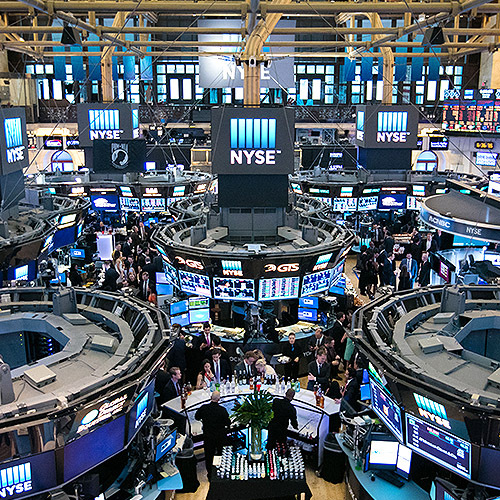 One of the most exclusive and sought-after event spaces in New York City, the New York Stock Exchange has hosted world leaders, celebrities and business icons from all areas of the globe inside its iconic location at the center of global financial markets. The building offers more than 35,000 square feet of elegant, private event space available exclusively to our network of listed companies. Between 17 different event rooms that make up the Big Board Club and the iconic NYSE Trading Floor, our space offers first-class accommodations up to 550 guests. Each of our world-class, luxurious rooms are event-ready with audio-visual equipment and Wi-Fi designed to help your event run smoothly. From our elegant, at-the-ready meeting rooms to creative menu selections for your guests, we offer the most personalized service for your event. Our location at 11 Wall Street offers signature business services to help you conduct ventures smoothly, including state-of-the-art audio-visual equipment, Wi-Fi access in all public spaces, a fully equipped business center and an experienced event staff to attend to any request. 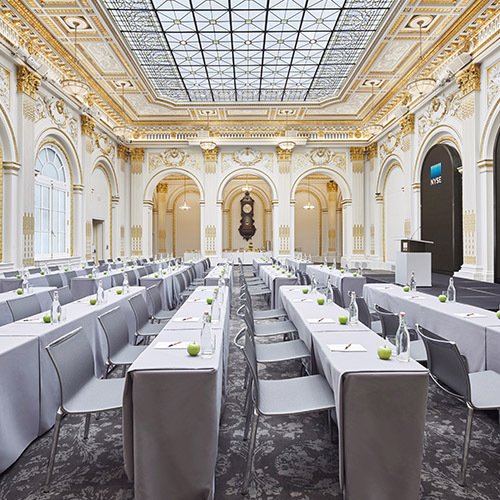 Our event space is available exclusively to NYSE-listed companies. You can request information about availability or reserve space for your event by contacting your NYSE representative.